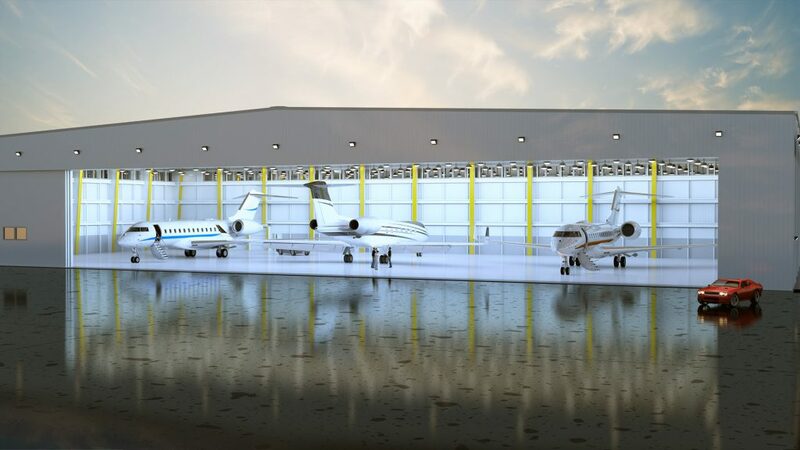 Sheltair Aviation has opened its US$55m FBO hangar complex at Republic Airport, New York. Each new facility offers 31,000ft² of floor space, 4,000ft² of office space, 28ft door heights, generous ramp space, and dedicated vehicle parking. On what was once part of an historic defense complex, the entrance to the Sheltair complex is exclusive and secure for tenants and their guests. Sheltair’s decision to make a multi-million-dollar investment at Republic Airport reflects several strategic factors. Republic sits under the New York metropolitan area’s economic umbrella and is a short helicopter ride away from Manhattan, allowing general aviation aircraft uncongested access to the city. Corporate aviation has also long expressed a desire for Sheltair to expand its FRG footprint with new state-of-the-art buildings. Todd Anderson, Sheltair senior vice president for real estate and development, said, “A tremendous amount of time and effort has been invested in the design and construction of these facilities. For example, unlike most hangars, thermal pane windows just beneath the roof line allow natural light to flood the space. Warren Kroeppel, Sheltair’s chief operating officer, said, “These first three of what will be six hangars reflect decades of experience in what works when ensuring the most efficient use of space for tenants. While space is still available in new Sheltair complex, two thirds of the hangars have already been fully leased. Among the aviation tenants that have already taken up residence in the new Sheltair complex is Zenflight, which operates a unique private ‘club’ of corporate aircraft based around the country. Malte Lorenz, president of Zenflight, added, “We have long recognized Republic Airport’s location is important for many of our clients, so when Sheltair completed these 21st century hangars, we wanted to be first in line to secure space.